WASHINGTON, DC, July 3, 2012 (ENS) – Environmental reviews of two large-scale wind energy development proposals have been completed by the Department of the Interior, clearing the way for public comment and final reviews, Interior Secretary Ken Salazar said Monday. Onshore, Salazar released the final environmental impact statement for a proposed wind farm in Wyoming that would generate up to 3,000 megawatts of power, enough to power up to one million homes, making it the largest in the United States and one of the largest in the world. Offshore, Salazar announced publication of an environmental assessment for commercial wind leases and site assessments on the Outer Continental Shelf off of Rhode Island and Massachusetts. The Rhode Island/Massachusetts Wind Energy Area covers 164,750 acres identified by the two states. Salazar told reporters on a teleconference Monday that the nation’s first offshore competitive lease sale will be held for this area before the end of the year. The Atlantic coast offers excellent commercial offshore wind development opportunities, said Salazar, because the continental shelf slopes off in a shallow way, there are strong winds up and down the coast and the transmission lines exist to bring wind energy generated offshore to the power grid for distribution. “There is significant interest from industry to develop this area,” he said. 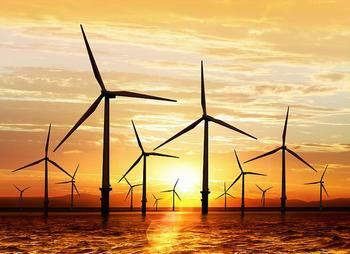 In November 2010, Salazar launched the “Smart from the Start” wind energy process for the Atlantic Outer Continental Shelf to ensure projects are sited in places where the wind energy potential is significant and environmental effects and conflicts with other uses can be minimized and managed. The process first identifies priority areas for potential development in consultation with the Bureau of Ocean Energy Management’s intergovernmental renewable energy task force and other federal agencies, the states and wind farm developers. In August 2011 the agency invited wind developers to identify locations within the area for which they would seek commercial leases. To prepare for the lease sale, Salazar has met with all the East Coast governors. “We have worked together to develop a proactive and coordinated plan to develop wind energy opportunities that has been endorsed by both Democratic and Republican governors,” he said. BOEM then produces an environmental assessment to clarify the leasing process. “This environmental assessment is the first of its kind in the northeast and is based on thorough scientific and technical analysis and substantial stakeholder input to identify the most suitable location for commercial wind energy activities in this area offshore Rhode Island and Massachusetts,” said BOEM Director Tommy Beaudreau. The assessment narrowed the focus by “excluding high value fishing grounds,” Salazar said. “We will continue to seek public participation in our process, including comments on this environmental assessment as we move forward with an innovative, targeted leasing approach to offshore wind,” said Beaudreau. BOEM will host public information sessions on July 16 and 17 to hear public comments on the environmental assessment. The agency is still in the process of determining whether to issue a Finding of No Significant Impact for offshore wind development in the Rhode Island/Massachusetts Wind Energy Area, or conduct additional analysis under the National Environmental Policy Act. The BOEM determination for Rhode Island and Massachusetts is expected to follow the agency’s opinion, issued in February, that there would be no environmental or socioeconomic effects from issuing wind energy leases off the mid-Atlantic coast states of Maryland, Virginia, New Jersey and Delaware. 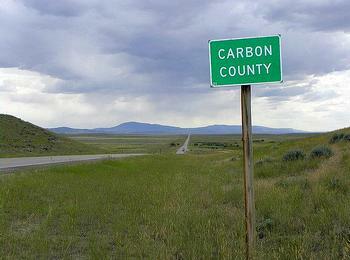 Across the country, the 1,000-turbine Chokecherry and Sierra Madre Wind Energy Project is proposed for a location south of Rawlins in Carbon County by Power Company of Wyoming, a subsidiary of Denver-based Anschutz Corp.
About half the $6 billion project would be sited on federal land. The other half will cover about 2,000 acres of a 320,000-acre ranch owned and operated by an affiliate company. The Bureau of Land Management is reviewing the proposal, which includes access roads, underground electric gathering lines, an overhead transmission line and substations to connect the generated power to the electric grid. Construction would take up to four years. Environmental advocates are concerned about the turbines’ impact on eagle and sage grouse populations. The BLM is considering precluding development within sage grouse core areas, restrictions on timing of activities, and enhancing sage grouse habitat outside of the project area. Mitigation measures for raptors will be included in the development of an avian protection plan stipulated in the Environmental Impact Statements. Monitoring and remediation will be required for a host of wildlife species, the BLM said in a statement. Tribal consultation on the proposal began in 2009 and BLM officials are consulting with the Northern Cheyenne, Northern Arapahoe, Eastern Shoshone, Northern Ute, and Fort Peck Assiniboine/Sioux. President Obama has made it clear that renewable energy is a priority for his administration, Secretary Salazar told reporters. The President wants to make the United States a world leader in renrewable energy, and we have seen three-and-a-half years of “historic progress,” he said. Since 2009, Interior has approved 31 utility-scale wind, solar, and geothermal projects that, if built by the companies, will provide about 7,200 megawatts of power to communities across the West, or enough to power nearly 2.5 million homes. Energy from sources like wind and solar have doubled since Obama took office in January 2009.